The Greens have used the first sitting day for the NSW Legislative Council to call on the NSW Government to oppose oil and gas development off the state’s coast. The Federal regulator recently gave the green light for Asset Energy to begin seismic exploration for oil and gas off the Central Coast. 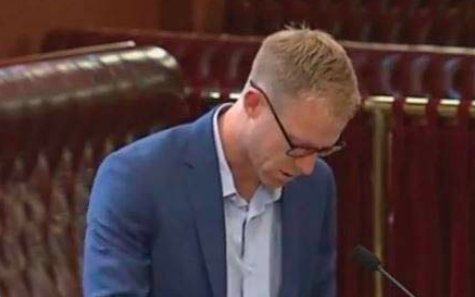 Greens MLC and Marine spokesperson, Mr Justin Field, introduced the motion to the Legislative Council calling on the NSW Government to oppose offshore oil and gas development. Mr Field said: “The idea that coastal waters off Newcastle and the Central Coast can safely be a future gas field is ridiculous. “The precious coastal waters are no place for an oil and gas field, and even the exploration process is fraught with danger for migrating whales, local fisheries and the environment,” he said. “The seismic testing will take place in an area recognised as habitat for 22 threatened species, including whales, turtles and migratory birds, and has the potential to injure fish up to one kilometre from the air blasts. He called for the Legislative Council to note that “seismic exploration creates sonic underwater blasts that have been shown to impact on whale migration patterns, marine species and their habitat, “The testing to be carried out by Asset Energy is in a highly prolific and valuable area to recreational, charter and commercial fishing industries. “Previous studies, including a recent study by the Fisheries Research Development Corporation, have shown that seismic surveys damage marine life.